These are clocks we are offering at special, low prices. Discounts are significant. These items are limited to stock on hand. Due to the deep discounts, no exchanges or returns can be accepted. Items on this page MUST be ordered via the website. All clocks and accessories are brand new with full factory warranty. 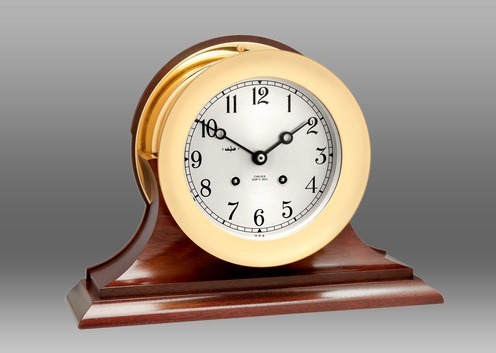 Six-Inch Dial Ship's Bell Clock on Traditional Base - In stock - Free shipping! -SUPER SALE - call or click for price. In Stock and Ships today. 1 left at this price.